We all know how important it is to make a good first impression. With recruiters spending an average 20-30 seconds scanning your CV, your CV layout needs to make your sure professional achievements stand out. 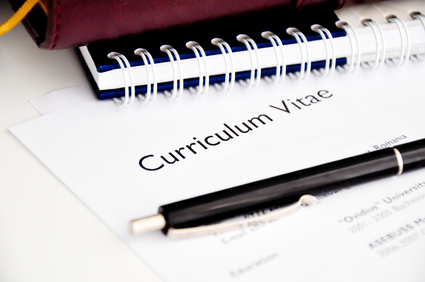 Here at CVcorrect, we’ve compiled 4 top tips to improve your CV layout and ensure you make the grade when it comes to securing that job interview. Like wearing a freshly pressed suit to an interview, your CV has to look the part too. First and foremost, make sure your font is readable and professional. It’s best to stick to fonts such as Helvetica, Calibri and Times New Roman, as they are legible and generally accepted throughout the business world. Separate your CV into sections, title each section with a clear heading and put it in bold. Ensure each section is evenly spaced out, as consistency is key for a professional-looking CV. If you can keep your CV to one page, great. But if you need more space to fully explain your professional background, don’t worry about going over a page. Keep your CV concise, but don’t sacrifice your CV layout. If there’s one thing that will turn off recruiters, it’s tiny font that is barely legible. Readability is your number one priority when it comes to a great CV layout. According to Donald Asher, “The Résumé Ingredients Rule” is all about prioritising the most important CV information and ensuring it goes first. This is why you should put your job experiences in reverse-chronological order, so your most recent and, most likely, most relevant job is first. Likewise, when it comes to listing your jobs, you should put your job title, name of employer, place of work and the employment dates in that order. For your education, the order should go: full degree title, name of institution, graduation year and grade/GPA. If you’re a recent graduate, you should put your education before your job experience. However, if you’ve gained considerable work experience, your job history should go first. Make sure the most important information stands out and is easy to find. Do recruiters need to know every single grade from high school? Do they need to know how long you were involved in the university brass band? Do they need to know about your part-time babysitting job, if you’ve got considerable work experience? We think you all know the answer, but let us reiterate – no, recruiters don’t need to know this, and more importantly, they don’t have the time to find out. Stay on point and keep your CV relevant. The beauty of these top tips to improve your CV layout is that it will take a matter of minutes to put into place. But by putting in minimal effort, the reward you will reap will be more than worth it. Sort out your CV layout and be ready to impress. One CV fits all: Certainly not! This entry was posted in CV and tagged career prospects, Curriculum Vitae, CV, CV editing, CV layout. Bookmark the permalink.